Everywhere you look there is this general idea that full frame cameras are the best choice. They are better, they are the choice of professionals, blah, blah. This entire concept has been going on for more than ten years, but technology has been constantly changing. So, is the full frame sensor/camera still the ideal piece of equipment? We have gathered some of the most popular myths about switching to full frame and we have challenged them. The reason we are doing this is not because we don’t like full frame cameras, but because we believe the options have greatly increased. Full frame cameras are amazing in low light. That much is true. It’s also true that crop sensors and other formats do very well too. But that’s not the real issue. In fact, this is mostly a marketing tool. Photography is about light, not its absence. So what if there’s no light at a certain location? Who says you can’t create your own. Too many photographers have been led to believe that they really need low light performance when instead all they really need to do is learn how to create light. And by the way, most of today’s crop sensors are more than capable of dealing with low ambient light. Most photographers are convinced that for maximum sharpness, you have to shoot on a full frame sensor. In reality, sharpness depends on a lot of factors, but probably most on optics. Switching to full frame because you want more detail tells me that you don’t really have sharpness figured out yet and that you are relying on “the magic” of full frame to get it. A good lens will bring out all the detail you want. So will low ISO and good light, and that goes for any camera. This is also one of the most important reasons why people switch to full frame cameras. First of all, you should ask yourself how much you actually need shallow depth of field in your photography. Second, if you want a nice background and creamy bokeh, don’t look to get it from your camera. Instead, invest in a fast lens because that’s where the real beauty comes from. You should decide if you want a well-built camera, or one that can endure harsh conditions like sand and saltwater every day. I think it’s safe to say that most photographers don’t treat their cameras badly when they use them. With that said, almost all advanced crop cameras and some impressive mirrorless cameras like the Olympus OM-D-E M5 are very well made and you can really feel the quality in your hands when you use them. Full frame cameras used to be the coolest option. I should emphasize used to. 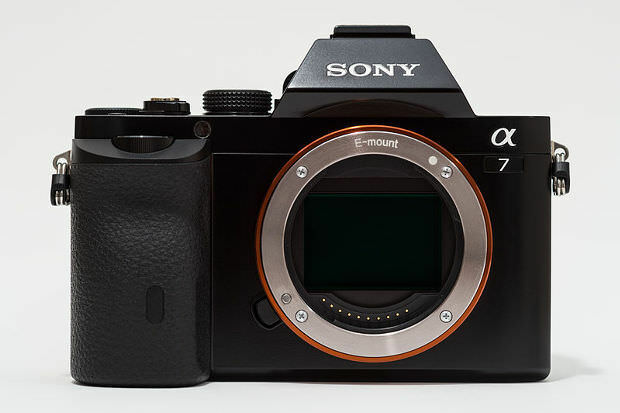 Somehow, carrying 8lbs everywhere you need solid image quality isn’t so attractive anymore. And please, please don’t tell me your D800e looks cooler than my Fuji X100s.